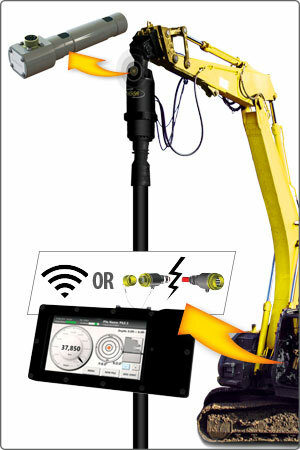 Digga's Torque Logic is a revolutionary new torque monitoring and data logging system which can fit any type of drive head. Where conventional hydraulic reading can be 30-50% out, our monitoring system offers true torque readings that are 99% accurate! Collected data can be exported via USB for certification by site engineer or manipulated using Microsoft Excel. No additional software is required.